Although a presidential election has intervened, absorbing much of our attention, since the last popcorn was popped and the last screening went dark, I think it's worthwhile to visit the 2012 Virginia Film Festival and look at a few of the stimulating panel discussions that followed some of the features. The headliners on Friday night were former Virginia Governor Gerald Baliles, who was one of the founders of the Virginia Film Festival, along with authors Carl Bernstein and Bob Woodward. Baliles led a conversation with Woodward and Bernstein about the 1976 movie based on their book, All the President's Men, which chronicled their investigation of the Watergate break-in and cover-up as young reporters with the Washington Post. Woodward and Bernstein discussed many aspects of their investigative work, the making of the movie, and the legacy of the Watergate scandal. One nugget that I excerpted from the longer discussion focused on President Gerald Ford's pardon of Richard Nixon just one month after Nixon resigned the presidency. Woodward explained that he interviewed Ford about the pardon some 25 years after it occurred, and that Ford said he did it to spare the country of further pain over Watergate. Although he and Bernstein had been appalled by the pardon at the time it happened, they now agree that Ford "did the right thing." The longer, more wide-ranging, conversation is also worth a look. Considering that Watergate happened 40 years ago, it is fascinating to hear the stories directly from some of the principal players in the investigation that brought down a president and proved that our Constitution can endure even the worst crisis that threatens its integrity. Another political movie was also featured at this month's film festival. A screening of John Frankenheimer's 1962 psycho-political thriller, The Manchurian Candidate (starring Frank Sinatra, Laurence Harvey, Angela Lansbury, and a cast of distinguished character actors of the 1950s and 1960s), was followed by a discussion among the hosts of the public radio program, BackStory with the American History Guys. The American History Guys are two University of Virginia historians, Brian Balogh (20th century history) and Peter Onuf (18th century), and the president of the University of Richmond, Ed Ayers (19th century). The screening and panelists were introduced by Jody Kielbasa, director of the Virginia Film Festival, who notes that The Manchurian Candidate has been added to the Library of Congress's National Film Registry. In a non-political category, on Saturday afternoon, actor and Oscar-winning songwriter Keith Carradine discussed his role in Ridley Scott's 1978 film, The Duellists (costarring Harvey Keitel). The conversation was moderated by New York University film scholar Harry Chotiner and included questions from the audience about Carradine's career and the art/craft of acting. Finally, a new movie, based on a popular young adult (YA) novel, from a first-time director was one of the closing-night screenings in a newly refurbished Newcomb Hall Theatre on the grounds of the University of Virginia. Director Matthew Lillard (better known as an actor for such films as Scream and Scooby-Doo) discussed his new film, Fat Kid Rules the World, along with actor Billy Campbell, who has a major role in it. The conversation was moderated by Sandy Hausman of WVTF-FM. Fat Kid Rules the World is based on the novel of the same name by K.L. Going and stars Jacob Wysocki, Matt O'Leary, and Dylan Arnold, as well as Campbell (who attended Western Albemarle High School). Billy Campbell's shocking confession about what really went on at Fork Union Military Academy: The star of The Killing says his six years at FUMA provided the military experience for playing a former-Marine dad in Fat Kid. "What were you doing there?" asks Hausman. "A lot of masturbating," replies Campbell. For more of my coverage of this year's Virginia Film Festival, see this Examiner.com article about Woodward & Bernstein and this pre-festival interview with Jody Kielbasa. According to a poll published today by Public Policy Polling (PPP), a North Carolina-based Democratic public opinion firm, Sesame Street's Big Bird is more popular among Virginia voters than either President Barack Obama or GOP presidential candidate Mitt Romney. The tenth question in the 16-question survey asks: "Do you have a favorable or unfavorable opinion of Big Bird?" The answers were "Favorable 56%," "Unfavorable 10%," and "Not Sure 34%"
The same question was asked about Mitt Romney, with these answers: "Favorable 52%," "Unfavorable 44%," and "Not sure 4%." A similar but not identical question was asked about President Obama. "Do you approve or disapprove of President Barack Obama’s job performance?," with Virginia voters answering: "Approve 50%," "Disapprove 48%," and "Not sure 2%." Although many voters are uncertain about their opinion regarding Big Bird, the numbers plainly show that he polls four points ahead of Mitt Romney in terms of favorability, and arguably six points ahead of President Obama. The same poll shows measurable support for two third-party candidates competing for President in Virginia. Former New Mexico Governor Gary Johnson, the Libertarian Party candidate, has 4 percent, while former Virginia Congressman Virgil Goode, the Constitution Party candidate, has 1 percent. Green Party candidate Jill Stein registers with less than 1 percent. In Virginia, it appears that, if the election were held today and his name were on the ballot, Big Bird would win the presidential vote in a landslide. Recent articles I've written as the Charlottesville Libertarian Examiner include Labor Day interviews with Constitution Party presidential candidate Virgil Goode; U.S. Senate candidates from Virginia Tim Kaine and George Allen; U.S. Senator Mark Warner; Sixth District Congressman Bob Goodlatte; and Goodlatte's Democratic opponent, Andy Schmookler. Two-part interviews were necessary for Libertarian vice presidential candidate Jim Gray ("Libertarian VP candidate Jim Gray warns of ‘obese federal government’" and "Libertarian VP nominee Jim Gray reflects on electing judges, Gary Johnson") and for George Mason University economist Peter Boettke ("GMU economist Peter Boettke asserts the ‘dismal science’ can be 'entertaining'" and "Economist Peter Boettke deflates candidates’ concept of ‘energy independence’"). Charlottesville-based historian and prolific author Arthur Herman merited an interview divided into three parts: "Historian Arthur Herman explores America’s World War II industrial effort," "On D-Day anniversary, historian Arthur Herman recalls WWII industrial effort," and "World War II industry effort led by Ayn Rand-type characters, says historian." The Herman interview is also available as a Bearing Drift podcast and in consolidated form on Book Reviews by Rick Sincere. Intermixed with all this are interviews with Virginia Lieutenant Governor Bill Bolling,Governor Bob McDonnell, Northern Virginia businessman Tim Donner (on his remarkable recollections of the events of September 11, 2001), and Delegate David Toscano. Other authors who have spoken into my microphone include Jonah Goldberg (who talked about his fascination with witch hunts). political commentator Michael Barone, pollster Scott Rasmussen, and David Lampo (on his book, A Fundamental Freedom: Why Republicans, Conservatives, and Libertarians Should Support Gay Rights). There were several articles on reactions to the Supreme Court's Obamacare ruling ("Conservatives decry Supreme Court’s health-care ruling," "Attorney General Ken Cuccinelli says Obamacare decision is 'a win for liberty,'" "More Virginia politicians react to Supreme Court’s Obamacare ruling," and "Gay and libertarian GOP groups critique SCOTUS Obamacare ruling"). Congressman Robert Hurt (R-VA5) reflected on the meaning of the Fourth of July and reacted negatively to calls to impeach Chief Justice of the United States John Roberts. And Florida Congresswoman Ileana Ros-Lehtinen, who chairs the House Foreign Affairs Committee, reacted positively to the idea of marriage equality for gay men and lesbians. In last Saturday's print edition of the Washington Post, an op-ed column by conservative commentator Michael Gerson offered a critique of President Obama's speech at the Democratic National Convention. Obama made almost no mention of the continuing jobs crisis. He offered nothing new or creative on a fiscal and debt crisis that undermines economic confidence. Much of Obama’s agenda — lowering tuition costs, recruiting math and science teachers, “long-lasting batteries” — sounded like a seventh-year State of the Union address, a collection of policy leavings and leftovers. One of Obama’s more ardent defenders called this a “return to normalcy after a long period of emergency.” And so Obama has gone in four years from being compared to Abraham Lincoln to carrying forward the legacy of Warren Harding. It was the dig at President Harding that ruffled my feathers a bit, because I have over the last few months become familiar with the work of historians and economists who have been trying to rehabilitate Harding's reputation. Who is the worst president in U.S. history? The answer is Warren G. Harding if you believe most presidential polls. For example, in the prestigious Arthur Schlesinger poll, conducted in 1948, 1962, and 1996, the participating historians ranked Harding each time as the worst U.S. president ever. Should we trust the judgment of these historians? No, we should not. 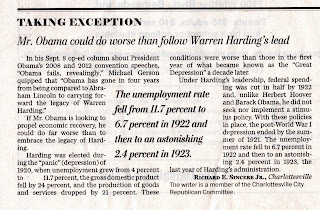 Actually, Harding was often a successful president, and his actions helped trigger a decade of prosperity for America. I also recalled seeing an opinion column by Amity Schlaes (which I can't seem to dig up today), similar to one she co-wrote with Ryan Cole for National Review called "Reassessing Warren G. Harding." With a few statistics in mind, I left the newspaper lying on the floor and rushed to my keyboard to write a letter to the editor of the Washington Post, which the editors accepted and published on line earlier this evening, intended for tomorrow's print editions. Consider this as a small contribution to the effort to renew interest in the presidents of the 1920s, including my previous column on Calvin Coolidge. 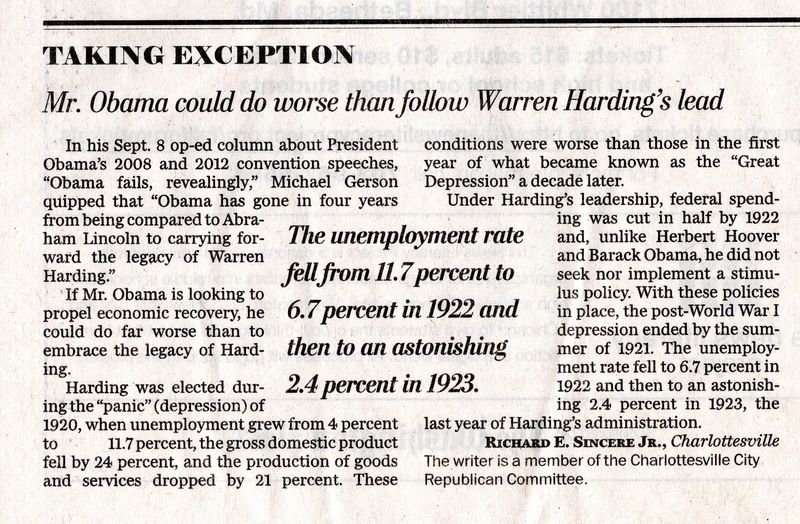 Update: The Post published a letter in response to mine under the headline, "Giving Warren Harding undue credit." It was written by Richard S. Smith of Triangle, Virginia, who is otherwise unidentified, although a little digging came up with FEC documents showing that someone with that name in that town gave $2,500 to the Democratic National Committee in 2010. The response was published on September 18, 2012. 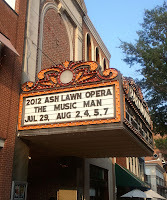 If you fear that Ash Lawn Opera’s summer production of Meredith Willson’s The Music Man will offer surprises or innovations, be not afraid. This is just about as conventional a version of the classic 1957 musical comedy that you’re likely to see in this or any other season. Having just reread Willson’s own account of the trials and tribulations that resulted in the original production (‘But He Doesn’t Know the Territory,’ published in 1959), I understand how his book (co-authored with Franklin Lacey) became ironclad. Only complete incompetency could breach that armor. That would explain, in part, why The Music Man is such a favorite of community and high school theatre troupes with limited resources. Director Cate Caplin’s mounting at the Paramount Theatre in Charlottesville is more than competent despite some static and clunky blocking (due, perhaps, to the Paramount’s shallow stage area crowded with a large cast of 50 players) and a low energy level – neither of which seem to have bothered the near sell-out crowd in the audience, which thoroughly enjoyed the performance from start to finish. Helping keep the balls in the air was conductor Jon Kalbfleisch, visiting from Signature Theatre in Arlington, who had the pleasure of directing a musical ensemble collected from around the country, including representatives from the Miami Symphony, Orlando Philharmonic, Florida Grand Opera, and Sarasota Orchestra. (Don’t they do music in Florida in the summer?) Sad to say, it was a nearly unique pleasure to hear a pit orchestra that was on pitch from the very first note of the overture to the last note of the bows. “Sad to say” because such discipline is all too rare in productions like this, and a greater pleasure on account of that. It was a bit jarring, at first, to hear the principals’ operatic voices singing songs intended for musical-comedy actors. One could detect baritone Trevor Scheunemann (as Professor Harold Hill) fighting the urge to put full voice behind the patter songs that Willson so conscientiously wrote for the character (and not, as some might imagine, for the vocally-limited Robert Preston, who first played the role on Broadway). Emily Albrink’s soprano is heavier than one might imagine Marion Paroo’s voice, suggesting a greater maturity than the 26-year-old character should possess. Still, her renditions of “Good Night, My Someone,” “Till There Was You,” “My White Knight,” and “Will I Ever Tell You” are lovely throughout. Local actor Pat Owen – not an opera singer, but with a number of musical plays under his belt – is a blustery, curmudgeonly, grumpy, spooneristic Mayor Shinn. Paul Ford and David Burns would be proud to have him follow in their footsteps. If any of the principals stood out, it had to be Meredith Arwady as Eulalie Mackecknie Shinn, the mayor’s wife. Chewing scenery shamelessly, Arwady had the audience eating it up with her and licking their fingers so as not to miss a bit. Every time she walked – or waltzed – on stage, the energy level in the theatre rose by several degrees. Obviously happy to have a role she could have fun with, Arwady played with it to the limit. What dance there was, was executed mostly competently and effectively, although a few missteps could be detected -- not, as one might expect, from the youngest and most amateur members of the cast, but rather by the young opera artists, who seemed outside their element. The set design by Evan A. Bartoletti and Lisa D. Lechuga (billed together as Lechetti Design) evoked a 1912-ish Fourth of July in small-town Iowa without being too naturalistic. The dark tones might have been more at home on a Ragtime stage, but that did not detract too much from the atmosphere. For his part, Stevie Agnew’s lighting design made ample use of a favorite technique of Morton Da Costa, the director of the original stage production and 1962 film of The Music Man – a tightly focused iris effect, isolating one or two actors at a critical moment of the play. Da Costa used it in Auntie Mame, as well, but the two plays had different lighting designers (Howard Bay on The Music Man, Peggy Clark on Auntie Mame), so the conceit seems to belong to the director. Bay, as it happens, was the first member of the creative team to sign up for The Music Man once Kermit Bloomgarden agreed to produce it; Da Costa joined up shortly afterward. Special praise is due to costume designer Shon LeBlanc, if nothing else than for sheer output. There have to be 100 or more costumes in this show, and each one is true to the era and to the character it represents. Yet even 55 years later, it’s clear that The Music Man is the better musical play: a more solid book, a more innovative score, more colorful characters, better-constructed and -integrated. West Side Story remains flawed at several levels (some flaws tracing back to Shakespeare) while The Music Man is still more fully formed, even in a strictly conventional production like the one Ash Lawn Opera is presenting in Charlottesville. Note: The Music Man holds a special place in my heart. It was the first show I appeared in (post-high school), at St. Bernard's Studio Theatre in Wauwatosa, Wisconsin. That show was 35 years ago this summer -- a 20th anniversary production of The Music Man that will always be remembered. 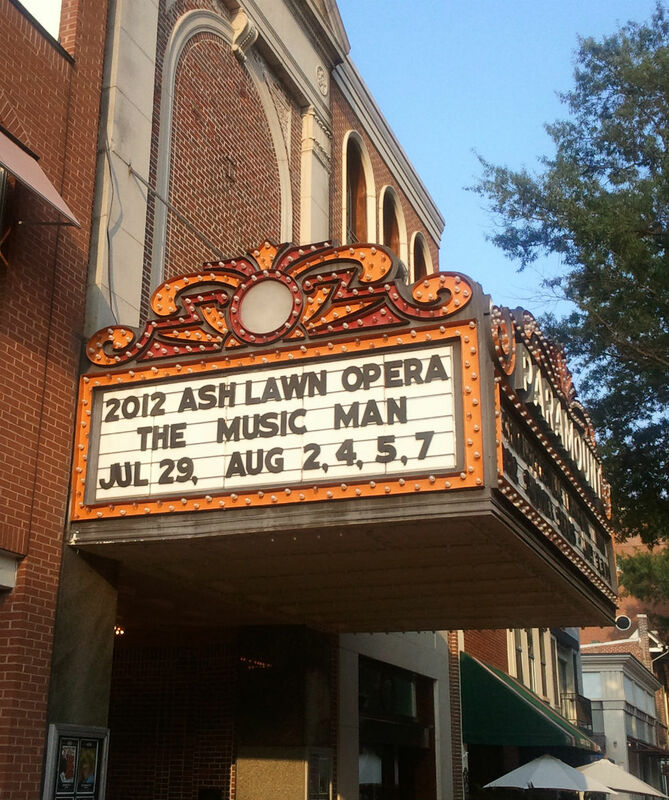 Ash Lawn Opera’s The Music Man has three more performances at the Paramount: August 4 at 7:30 p.m.; August 5 at 2:00 p.m.; and August 7 at 7:30 p.m. Each performance is preceded by a lecture that begins 45 minutes before curtain time. For ticket information, consult www.theparamount.net. Until last week, I had never known anyone who had had a planet named for him. Now I have. The late Franklin Kameny, a Harvard-trained astronomer who became a civil-rights pioneer, now has a namesake planet -- a minor planet, to be sure, which is a technical term for asteroid, but still a planet. 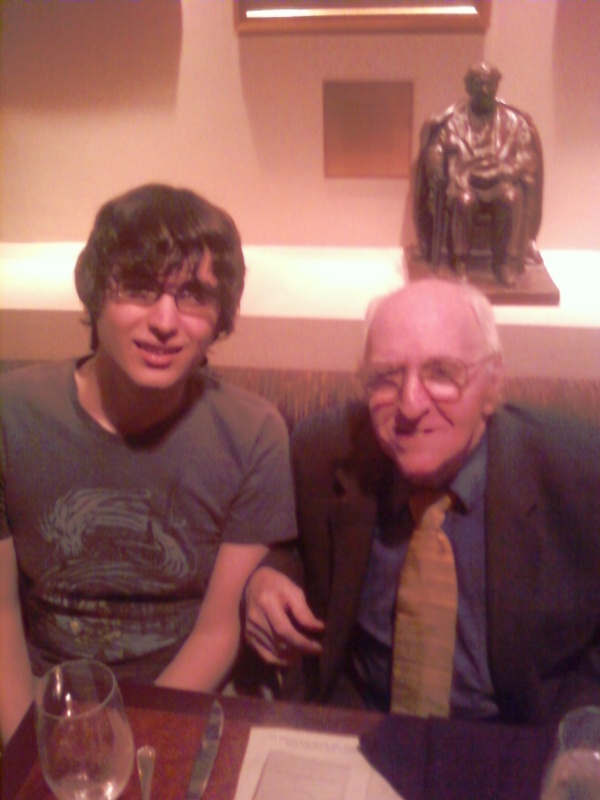 Frank Kameny, a World War II combat veteran, died last October at the age of 86. 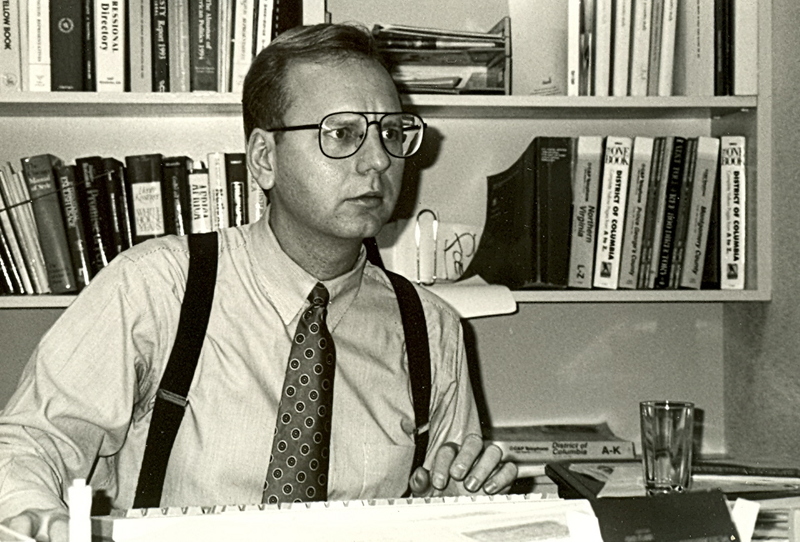 His career in gay-rights advocacy began in 1957 when he was fired from his federal government job (as a civilian astronomer for the U.S. Army) for no reason other than that he was gay. In the 1960s, he and other early movement leaders organized the first pickets of the White House and the Pentagon by gay and lesbian activists. LGBTQNation identifies the asteroid as "minor planet 40463." An Associated Press report published in the Washington Post places the asteroid as between Mars and Jupiter. Its name is "Frankkameny" (one word, no spaces). 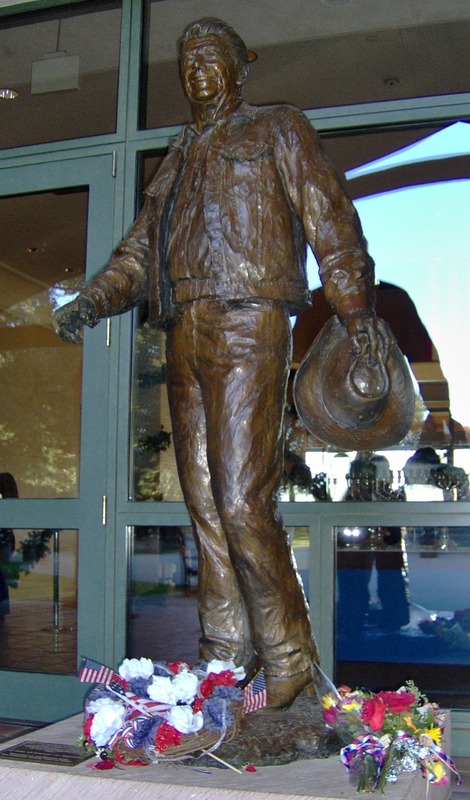 Discovered 1999 Sept. 15 by G. W. Billings at Calgary. Frank L. Kameny (1925–2011) trained as a variable star astronomer in the 1950s, but joined the Civil Rights struggle. His contributions included removing homosexuality from being termed a mental disorder in 1973 and shepherding passage of the District of Columbia marriage equality law in 2009. Other recently discovered minor planets reported in the same edition were named for Wilhelm Brűggentihies, a biographer of astronomers; Molleigh Elena Struble, who passed away at age 16 after helping to design the Yerkes Astrophysics Academy for Young Scientists; Robert Grosseteste, a 13th-century English theologian; radio astronomer Osamu Kameya; 19th-century Czech philanthropist Vojta Náprstek; Slovak ice-hockey player Pavol Demitra; and a 15th-century Grand Duke of Lithuania, Vytautas Didysis the Great, among others. Twenty-six years ago, during the twin celebrations of Independence Day and the re-dedication of the Statue of Liberty on the occasion of its centenary, President Ronald Reagan made a series of speeches about American history and American values. The immigrant story has been repeated millions of times, stories such as that of one man who passed through Ellis Island years ago. A 15-year-old Italian immigrant who spoke not a word of English. Little did he imagine that his son, Antonin Scalia, would be appointed to the highest court in the land, there to uphold and protect our Constitution, the guardian of all our freedoms. Just one of many stories that shows us that every time we swear in a new citizen, America is rededicating herself to the cause of human liberty. In these last couple of weeks we have rededicated ourselves to liberty in other important ways, too. Recently, the Congress has passed two landmark pieces of legislation that I'm sure put a smile on the face of our Statue of Liberty. The first was our historic effort to reform our nation's tax code, to make it simpler and fairer, to bring tax rates down, and to give families a long-overdue break. Throughout human history, taxes have been one of the foremost ways that governments intrude on the rights of citizens. In fact, as we all learned in school, our democratic American Revolution began with a tax revolt. Our forefathers knew that if you bind up a man's economic life with taxes, tariffs, and regulations, you deprive him of some of his most basic civil rights. They have a wonderful phrase describing economic liberty in the Declaration of Independence. They call it "the pursuit of happiness." Well, with tax reform, we're going to make that pursuit a lot easier for all Americans. All through our history, our Presidents and leaders have spoken of national unity and warned us that the real obstacle to moving forward the boundaries of freedom, the only permanent danger to the hope that is America, comes from within. It's easy enough to dismiss this as a kind of familiar exhortation. Yet the truth is that even two of our greatest Founding Fathers, John Adams and Thomas Jefferson, once learned this lesson late in life. They'd worked so closely together in Philadelphia for independence. But once that was gained and a government was formed, something called partisan politics began to get in the way. After a bitter and divisive campaign, Jefferson defeated Adams for the Presidency in 1800. And the night before Jefferson's inauguration, Adams slipped away to Boston, disappointed, brokenhearted, and bitter. For years their estrangement lasted. But then when both had retired, Jefferson at 68 to Monticello and Adams at 76 to Quincy, they began through their letters to speak again to each other. Letters that discussed almost every conceivable subject: gardening, horseback riding, even sneezing as a cure for hiccups; but other subjects as well: the loss of loved ones, the mystery of grief and sorrow, the importance of religion, and of course the last thoughts, the final hopes of two old men, two great patriarchs, for the country that they had helped to found and loved so deeply. "It carries me back," Jefferson wrote about correspondence with his cosigner of the Declaration of Independence, "to the times when, beset with difficulties and dangers, we were fellow laborers in the same cause, struggling for what is most valuable to man, his right to self-government. Laboring always at the same oar, with some wave ever ahead threatening to overwhelm us and yet passing harmless . . . we rowed through the storm with heart and hand . . . ." It was their last gift to us, this lesson in brotherhood, in tolerance for each other, this insight into America's strength as a nation. And when both died on the same day within hours of each other, that date was July 4th, 50 years exactly after that first gift to us, the Declaration of Independence. My fellow Americans, it falls to us to keep faith with them and all the great Americans of our past. Believe me, if there's one impression I carry with me after the privilege of holding for 5-1/2 years the office held by Adams and Jefferson and Lincoln, it is this: that the things that unite us -- America's past of which we're so proud, our hopes and aspirations for the future of the world and this much-loved country -- these things far outweigh what little divides us. And so tonight we reaffirm that Jew and gentile, we are one nation under God; that black and white, we are one nation indivisible; that Republican and Democrat, we are all Americans. Tonight, with heart and hand, through whatever trial and travail, we pledge ourselves to each other and to the cause of human freedom, the cause that has given light to this land and hope to the world. has, in the lapse of nearly half a century, without a single exception, respected the independence of other nations while asserting and maintaining her own. As we Americans celebrate our independence this week, we would do well to remember the words of Presidents Adams and Reagan. Last night I had an opportunity to see the Four County Players' production of Snoopy: The Musical, the follow-up to the much more successful (and familiar) 1967 off-Broadway hit, You're a Good Man, Charlie Brown, which had a short-lived Broadway revival in 1971 and was revived again on Broadway in 1999. As sequels go, this could be worse -- but not by much. Fortunately the exuberant young actors ignored the show's mediocrity and gave it their all, so the evening was entertaining enough to justify the cost of the tickets and the 30-minute drive to Barboursville from Charlottesville. None of the cast of seven is past high school age (even if you include one Princeton-bound recent graduate), and a couple have not yet reached junior high, but all of them show talents that could be put to more effective use with better material. Simply put, the score of Snoopy: The Musical lacks any of the wit and tunefulness of its predecessor. Frankly, there's not a memorable song in the piece. While there are attempts by the songwriters (Larry Grossman and Hal Hackady) to ape some of Clark Gesner's successful Charlie Brown numbers, they don't come close to "My Blanket and Me," "Suppertime," or "Book Report (on Peter Rabbit)," not to mention the big hit, "Happiness." As for the book, one of the co-writers is "Charles M. Schulz Creative Associates." Enough said about that? How distant this opening show of the Four County Players' 40th season is in quality from the musical that will close it, Into the Woods. That's something to look forward to. 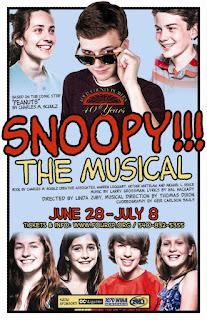 especially if one of the three young male actors in this show's cast -- Peter Balcke (Snoopy), Daniel Neale (Charlie Brown), or Aaron Cohen (Linus) -- ends up playing Jack. Any of them could do it, really. If you've got kids, feel free to take them to see Snoopy: The Musical. Even if you're disappointed, they won't be. 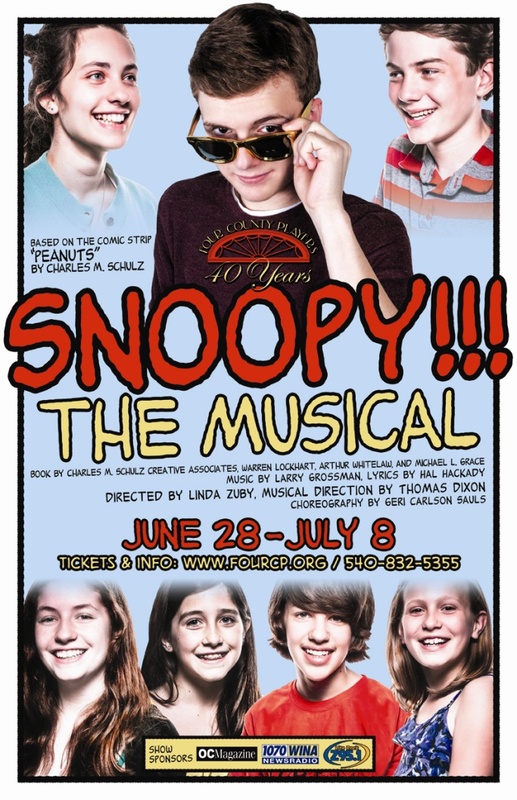 Snoopy: The Musical continues through July 8 (evening performances at 8:00 p.m. on July 5, 6, and 7; matinees at 2:30 p.m. on July 1 and 8) at the Barboursville Community Center, 5256 Governor Barbour Street in Barboursville, Virginia. All tickets are $12. Call 540-832-5355 for ticket information. Three previous posts this week featured videos of presentations at the 2012 RightOnline conference in Las Vegas, which took place on June 15 and 16 at the Venetian Hotel. The first post was about former Alaska governor and 2008 GOP vice presidential candidate Sarah Palin and current Nevada Third District Congressman Joe Heck. The second one included speeches by two highly-rated talk-radio hosts, Lars Larson and Rusty Humphries. The third had speeches by authors S.E. Cupp and Jonah Goldberg, as well as a panel discussion with the two of them plus Larson. This entry in the series features a dinner address by Scott Rasmussen, founder and president of the Rasmussen Reports public opinion polling firm (and also co-founder of ESPN, but that's just a historical tidbit). Rasmussen has also noted a change in attitudes over the past twenty years since he began doing public opinion surveys, when issues like gay marriage were not even being discussed. Scott Rasmussen is the author, most recently, of The People's Money: How Voters Will Balance the Budget and Eliminate the Federal Debt. His other books include In Search of Self-Governance, A Better Deal : Social Security Choice, and (with Douglas Schoen) Mad As Hell: How the Tea Party Movement Is Fundamentally Remaking Our Two-Party System. In two previous posts that featured videos from the RightOnline conference held in Las Vegas last weekend, I included speeches by former Alaska Governor Sarah Palin and Nevada Congressman Joe Heck, and by radio talk-show hosts Lars Larson and Rusty Humphries. The three videos below feature political commentators S.E. Cupp and Jonah Goldberg. In the last one, Lars Larson joins them for a panel discussion moderated by Americans for Prosperity vice president Tracy Henke. Cupp is known for her appearances on various cable news outlets, including Fox News and MSNBC. More recently, she has been a commentator for Glenn Beck's on-line venture, GBTV. She is also the author of Losing Our Religion: Why the Liberal Media Want to Tell You What to Think, Where to Pray, and How to Live and co-author (with Brett Joshpe) of Why You're Wrong About the Right: Behind the Myths: The Surprising Truth About Conservatives. As was true for most of the RightOnline speakers, Cupp talked about the importance of online, citizen journalism and the use of social media to advance conservative ideas, but she also discussed how conservatives can more fully participate in popular culture. Goldberg describes himself, "in Internet years, as Methuselah," because he's been using social media since 1998, when he would stay up late at night exchanging instant messages with Andrew Breitbart. Following their individual comments, Cupp, Goldberg, and Larson retook the stage to engage in a panel discussion. Still more videos to come. As noted in my last post, this past weekend I was in Las Vegas for the fifth annual RightOnline conference sponsored by Americans for Prosperity. That post featured videos of speeches by Sarah Palin and Nevada Congressman Joe Heck. My handy digital video camera also recorded several other notable speakers, including two syndicated talk-radio hosts. Lars Larson is based in Portland, Oregon, but his show is heard here in Charlottesville on WCHV-AM from 7:00 to 10:00 o'clock each evening. According to Talkers magazine, his show is heard by a weekly audience of more than 1.5 million listeners and it is the 11th most popular talk-radio show in the country (tied with Dennis Prager). Larson spoke briefly at lunchtime on Saturday, June 16, and later joined a panel discussion with Jonah Goldberg and S.E. Cupp (see future post for that video). During Saturday's dinner program, another talk-radio host, Rusty Humphries, addressed the RightOnline participants. Talkers magazine ranks Humphries as the 8th-most-popular radio talk-show host, tied with five others (Alan Colmes, Thom Hartmann, Dennis Miller, Stephanie Miller, and Ed Schultz) and heard by more than 3.25 million people each week. His show is broadcast on 250 stations as well as XM and Sirius satellite radio. Only one station in Virginia carries his show, however -- WTNT-AM in Alexandria. In his speech, Humphries told his audience they should not be shy, that they should feel free to make a lot of noise. Judge for yourself as to whether they followed his advice. There are still more videos to come.